Tarek Chemaly: Exotica for Mother's Day - from queen of hearts to Russian dolls. 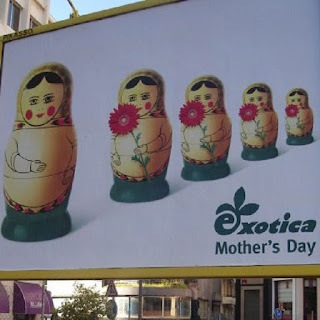 Exotica for Mother's Day - from queen of hearts to Russian dolls. On the good side, there is not "Off with their heads" as famously uttered by the Queen of Hearts. 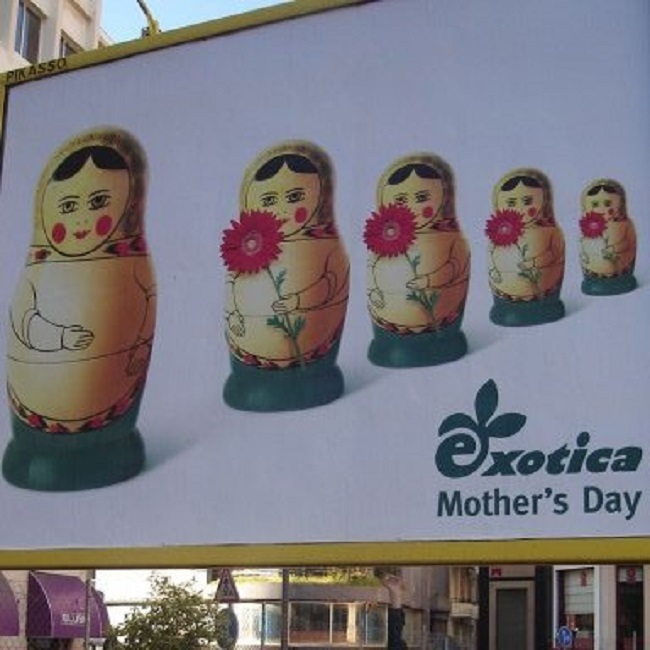 On the other side (which is not necessarily bad) Exotica released a "good" mother's day ad. "Queen of our hearts" - compared to other ads this year, it is well-done (because the numbers of "duh" ads is exceptional). In the absolute? We are a far, far cry from the classic Russian dolls ad released in 2008. Here it is below! Happy Mother's Day.